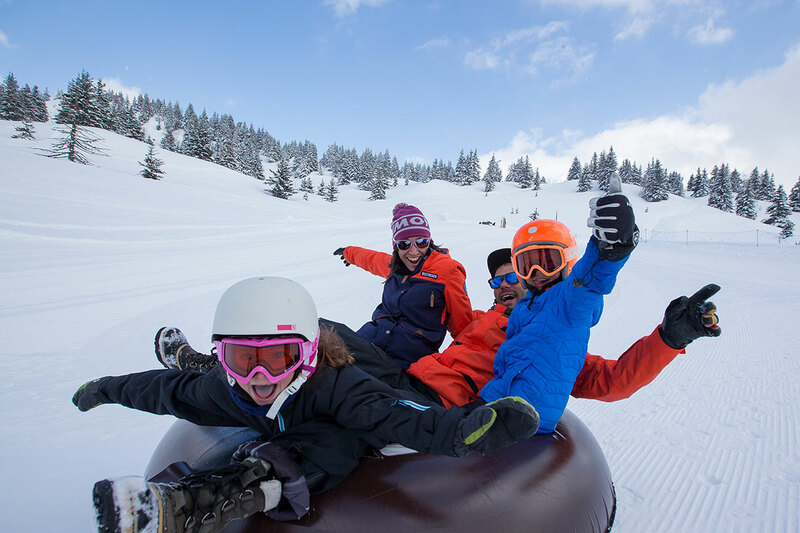 The certification label "Famille Plus Montagne"
The certification label « Famille Plus » is a national certification concerning the welcome of families and the services offered to children and families in the French touristic resorts. An awareness of the professionals concerning children’s expectations. “Famille Plus, a destination for young and old alike” is a certification label to which families can make reference to in order to enjoy a successful stay! Its aim: taking into account your expectations and/or suggestions. Its location: in the Chamonix Valley facing the Mont-Blanc range. Its various sport activities designed for young and old alike. Its events aimed at all ages and its day care center for children between 3 and 12 years old. 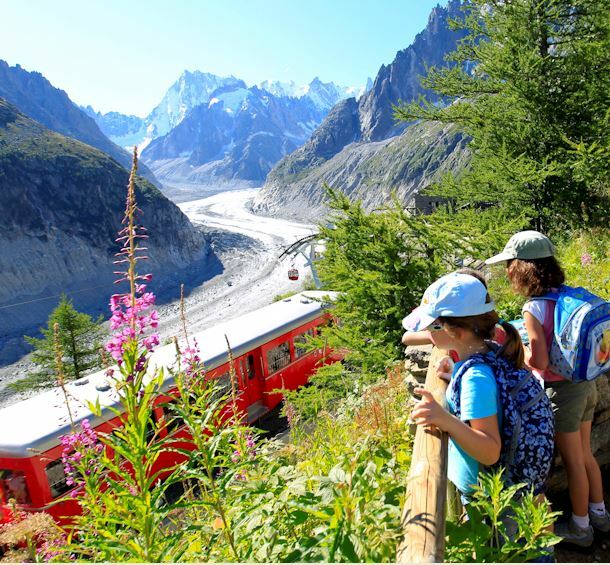 Hôtel des Campanules **: From the hotel you can enjoy a spectacular view on the Mont Blanc range and the Aiguille du Midi. Familial rooms and adapted meals. Living room dedicated to games, reading. Free shuttle busses with the guest card. Hameau de Pierre Blanche ****: near the cable car Prarion and verdant spaces. Apartment for 4 to 8 people with baby beds on demand. Free access to the indoor swimming pool and Jacuzzi. Spa treatments adapted to children on booking. Merlet Animal Park: easy walks in the park situated at 1500 m, right in front of the Mont Blanc range, the animal park of Merlet is a magnificent 50 acres park where ibex, chamois, marmots, stags, deer, hinds and llamas move around in freedom! Mont Blanc Forest Adventure Park: Travel from tree to tree, in a magnificent forest situated in front of the Mont Blanc range. Sky-high thrills in complete safety: take zip-wires, rope bridges, tunnels, rope ladders and sky walks... 1h30 to 2h up in the trees. Circuits especially designed for children from 2 to 4 years old and for older children from 4 to 12 years old. Day care center open from Monday to Friday during the summer for children between 3 and 12 years old. Thematic week and reception adjusted for each age group. Multifunctional field and volleyball field with no entrance fee, foam games for younger children. Opening of a space dedicated to families at the center of the village: an activity leader will offer to do some painting, handcrafted jewelry, sewing, pottery, silkscreen painting, songs or music. Depending on the day and subject to availability. Cable cars: special rates for children (5 to 14 years old) and family pass (2 adults and 2 children of same family). The area of Les Chavants is under construction. The tennis are being reconfigured. Several arrangements concerning this area are under progress in order to offer a better experience to families. Open air play-ground in Les Chavants. Picnic tables, WC, baby changing table. Each Thursday during the summer season: treasure hunt in the village for families. Snack and goodies offered at 4pm after the paper chase. During the winter: possibility of package that include Ski (with the ESF) and day care center. A fitted out, secured and groomed area in Les Chavants: one track for children aged 2 to 6 and another one for more than 6 year-old kids. Children under the supervision of an adult compulsory. At the arrival of the cable car Prarion and just next to the beginner ski area, you’ll find a beautiful sledging track. 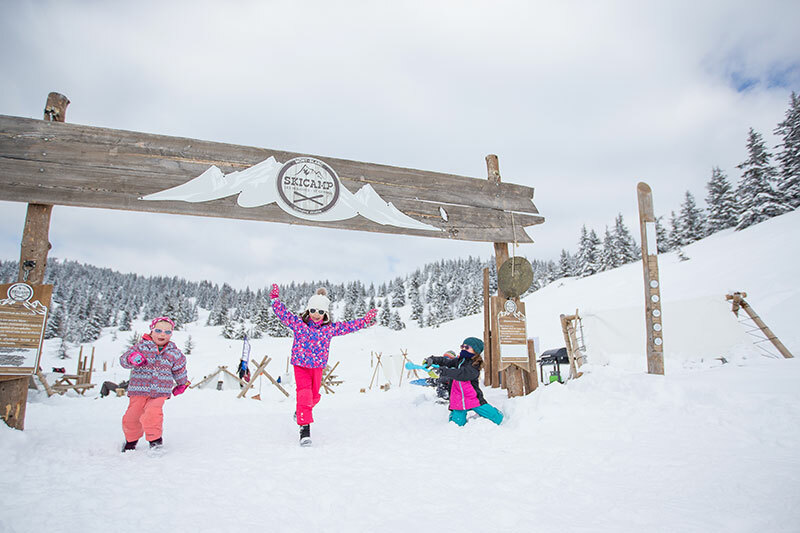 Up on the ski area of Les Houches, you’ll find the Ski Camp: toboggan run, tubing track, curling, zip lines for the little ones… All winter long at the top of the cable car Prarion, next to the beginner area. For the older children a border cross is open and prepared every morning. The border cross welcomes several competition, such as the Kid Contest. 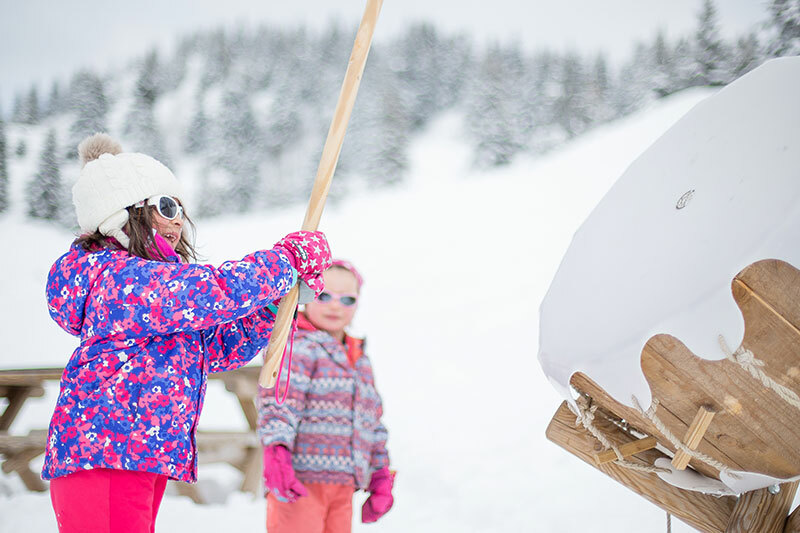 At the top of each cable car in Les Houches, you’ll find beginner areas suitable for young children who wants to learn how to ski. 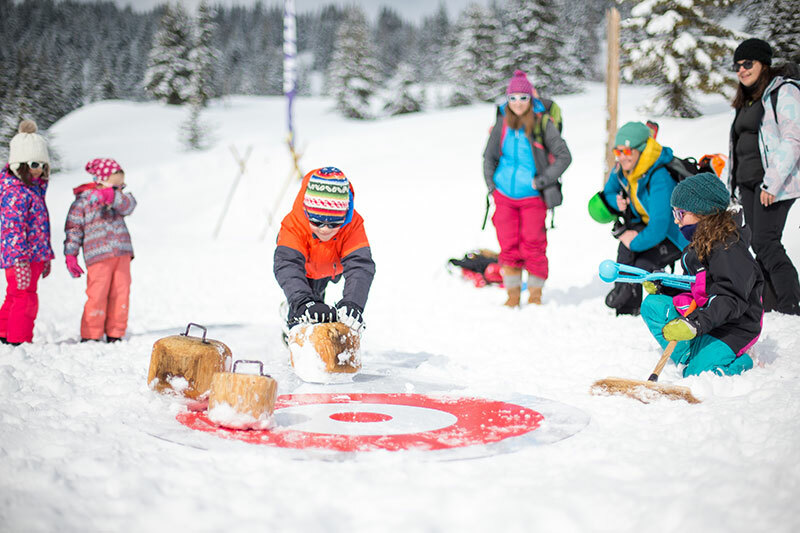 The tourism office in Les Houches offers a lot of events and activities for children each week during the high season. Find here the events dedicated to children ! You’ve stayed in a resort with the certification label FAMILLE PLUS. This certification label is awarded to resorts offering quality of service to families and children. In order to improve our services and to better meet your expectations, please answer a few questions. Official date of the labeling 16 May 2018 for 3 YEARS, awarded on June 5, 2018 by Pierre BALME, President of the Working Group of the National Association of Mayors of Mountain resorts.